“A renowned Spanish laboratory presented the results of clinical tests that show a dramatic reduction in the progression of moderate Alzheimer’s Disease (AD) patients, in a new step towards an innovative approach to fight this neurodegenerative disease. Read this article at WikiTribune in its entirety here. NeedyMeds is a national non-profit organization that maintains a website of free information on programs that help people who can’t afford medications and healthcare costs. “At first, Blythe Danner and Hilary Swank seem utterly different as you watch them chatting together in a vast white room in Manhattan on a fine summer morning. “Swank, 44, a buff former high school gymnastics champ who grew up in a trailer park in Washington state, is direct, peppy, coachlike. ‘Make a choice about the optimism you want to bring into your life!’ she exhorts us at one point. Continue reading this article at AARP Magazine, click here. Click here to read this article at the CDC Website in its entirety. Here’s an intriguing concept that can be one small solution to a housing crunch. Tight housing markets present real quandaries for many. Yet this “curious roommate pairing” — or shared housing concept — may be worth looking at … for lots of reasons. “After living with more than a dozen different roommates in his young life, most of them strangers, Dean Kaplan is well-versed in the particulars of those first meetings — the short introductions, the perfunctory pleasantries, and then the quick getting on with life. Read this Boston Globe article in its entirety here. “Home Sharing is a simple idea: a homeowner offers accommodation to a homesharer in exchange for an agreed level of support in the form of financial exchange, assistance with household tasks, or both. “The community is also a beneficiary of Home Sharing. Shared living makes efficient use of existing housing stock, helps preserve the fabric of the neighborhood and, in certain cases, helps to lessen the need for costly chore/care services and long term institutional care. “A home sharer might be a senior citizen, a person with disabilities, a working professional, someone at-risk of homelessness, a single parent, or simply a person wishing to share his or her life and home with others. For these people, shared housing offers companionship, affordable housing, security, mutual support and much more. 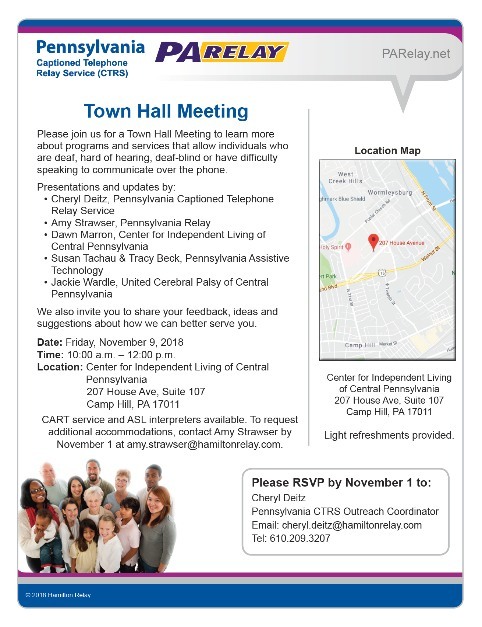 Earlier this month a Pennsylvania Link to Aging and Disability Resources WEBINAR introduced a pilot program that’s operating in northeast Pennsylvania. You can see the slides from the PowerPoint about this program — in Pike, Wayne, and Monroe Counties — here. Pennsylvania’s senior population grew by 13.5 percent from 2010 to 2016, according to a recent research report from the Pennsylvania State Data Center, which analyzes data from the U.S. Census Bureau. Meanwhile, Pennsylvania’s total population rose just 0.6 percent over that span. 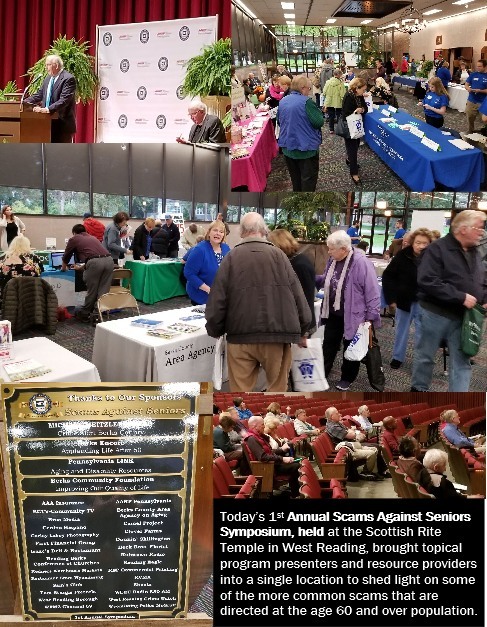 Today over 100 persons attended the Scams Against Seniors Symposium — A Michael Meitzler Award Event at the Scottish Rite Cathedral, 430 S 7th Ave, Reading, PA 19611. Today’s event featured information tables with local and state resources, speakers, including Rev. Dr. Ronald W. Costen, PhD. & Attorney at Law-Elder Justice Specialist and Mary Bach from AARP’s Consumer Task Force and workshops on frauds, scams and identity theft from the PA Office of Attorney General & The PA Crime Prevention Officers’ Association. Click on the graphic above to download the program as a .pdf file.